Have you ever been camping or mountain climbing? Have you bring and set up a tent over there? Have experience any kind of tent carry? 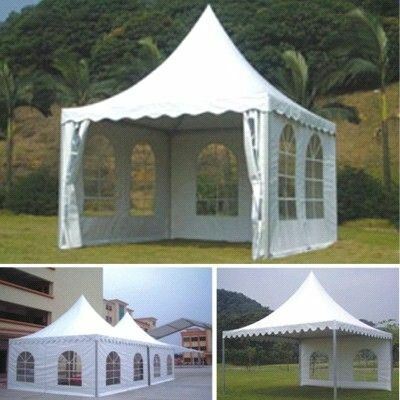 Or even you do not fully realize is there any difference tents sold in the market. Not infrequently also mountaineers wear Tent Camping for use in a high mountain and a lot of wind, this clearly does not fit. Not all tents can be suitable for use in the mountains, because in the mountains there are many factors that need our attention such as temperature, wind, humidity and rain. Today in general camping equipment manufacturers / tent divides its products into several categories that lead to the use of tents / Outdoor Equipment, they call it the "three-season tents and marquees four seasons" differences of the two types of tent is located on the materials used and the form of order tent. 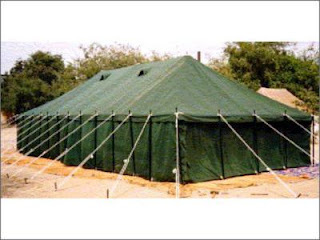 For three season tent more use of mesh material (net) on the inside of the tent and the tent frame is more simple there is one frame, two, and most three frames. 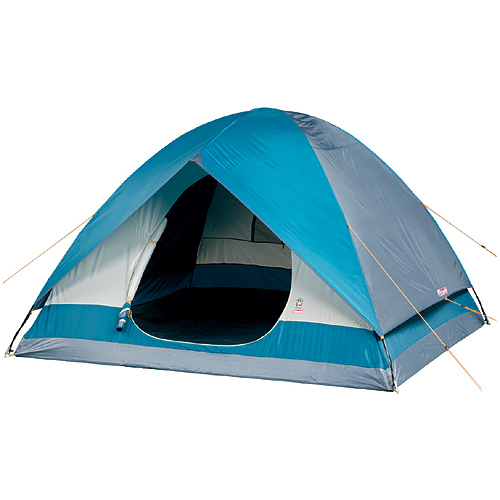 For a 4 season tent or also known as expedition tent material is better not infrequently also made of breathable material and is much more robust chassis with four frames even until the fifth frame that Tent Dome. 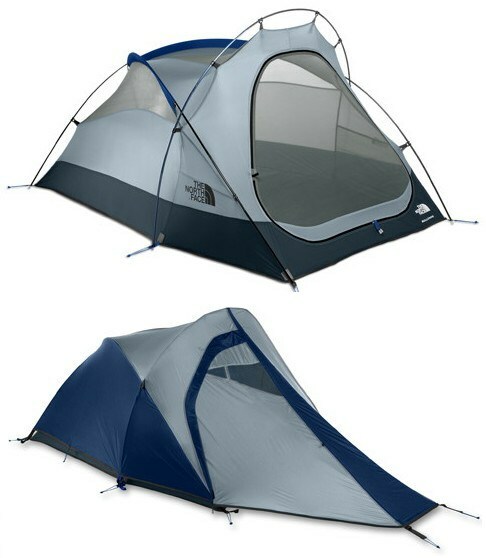 Of course, four season tent is much more robust than in the tent three seasons because it is designed for extreme situations only weighs heavier than the three musim.Untuk mountaineering tent in Indonesia tent above second type could be used, only sometimes for three season tent / Tent Platoon, Dome Tent note inside layer sometimes there are almost all was made of mesh (net), but if his rainfly (flysheet) enough to cover up under the hood will be enough to help withstand the wind. 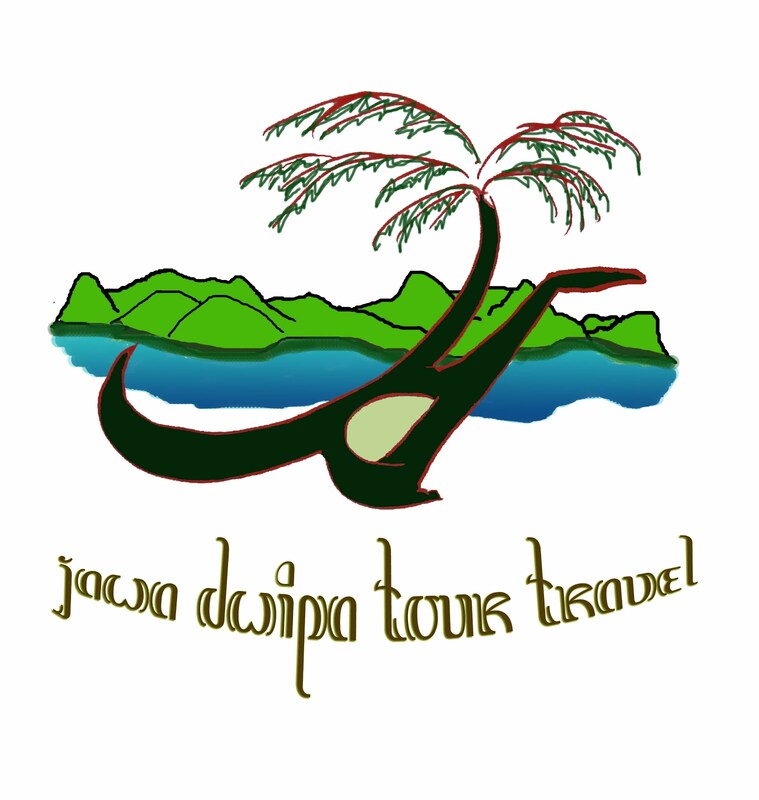 However, if its short rainfly should not select the tent, because the cold wind will easily break into tenda.Lain well as tents for camping. Camping tent construction is higher than the tent mountain climbing. Tents mountain climbing construction tends to be lower. Materials tent camping tents are also sometimes not as good as mountain climbing. If you've already bought a tent for camping and you will wear it up the mountain there is a good idea to follow the following tips2. 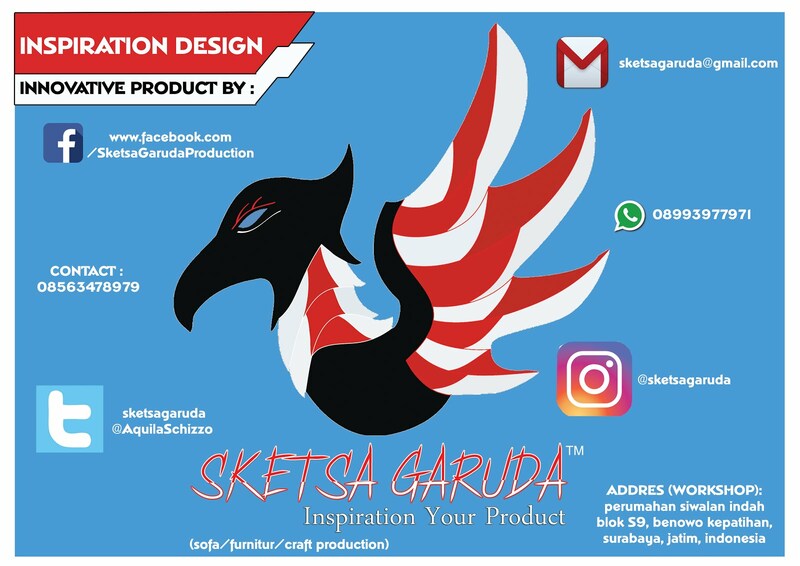 · Add the ropes fasteners (guylines) on the side of the frame, is useful for stability and increase the resilience of the tent frame in the face of the wind. Use strong rope as the rope fasteners (guylines) it. Bring flysheet tent flysheet extra if you are too short and not to cover up the tent down. 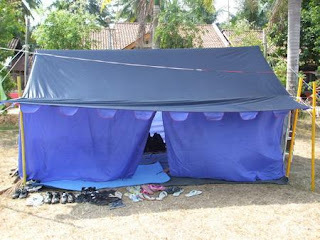 Many tendency diatara mountaineers in Indonesia to set up a tent that sheltered area to avoid the wind, is a good option as well but is not recommended if a lot of trees around it because of the risk of falling trees fallen by wind will be immense. I personally prefer to set up a tent in an open area free of trees, even if have to hide from the wind I prefer local shrubs or bushes. Most importantly if you climb a mountain season a lot of wind, camping equipment and tents prepare you as best as possible and put it right, do not slack. Because the tent put up with saggy will be easily broken by the storm. 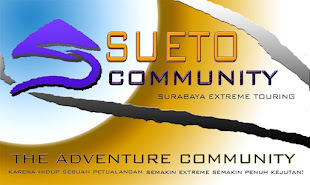 Greetings and congratulations wildlife of Sueto hike ..